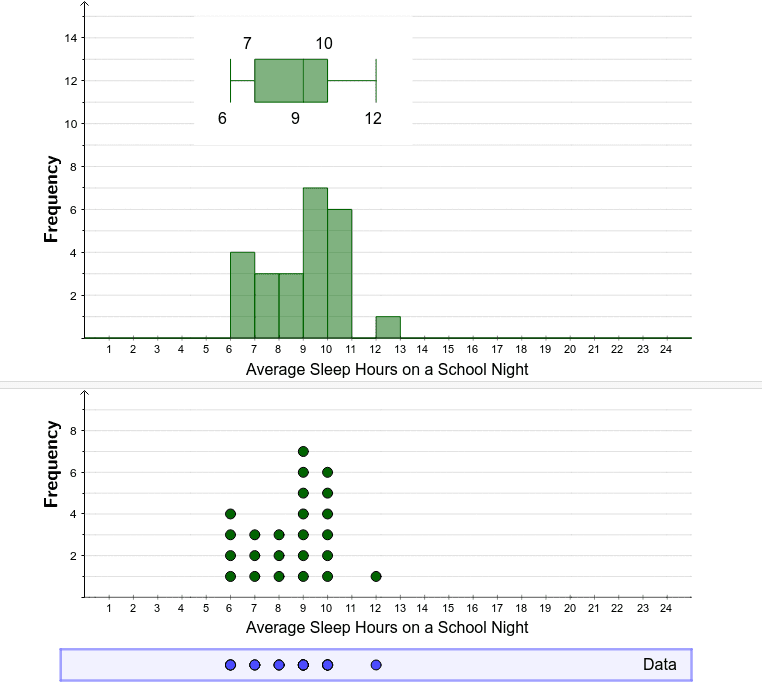 Is it possible to determine the average hours of sleep from the dotplot, histogram, or boxplot? If so, which one(s)? Explain.